Everyone has a list of to-do’s, goals, Bucket List – whatever you wish to call it – that they wish to accomplish. Whether they are written down on an old, smelly napkin, recited by memory or spitballed as the time comes, everyone has got one. And, I my friends, am no exception. While my list of Goals include a wide variety of must-do’s, a good chunk of these involve Food. Yes, I am a Foodie. One of these goals – quite possibly the greatest one on the list – was to visit an In-N-Out Burger. And my dear friends, I have finally made The Greatest Mecca of my life. I have been to In-N-Out. 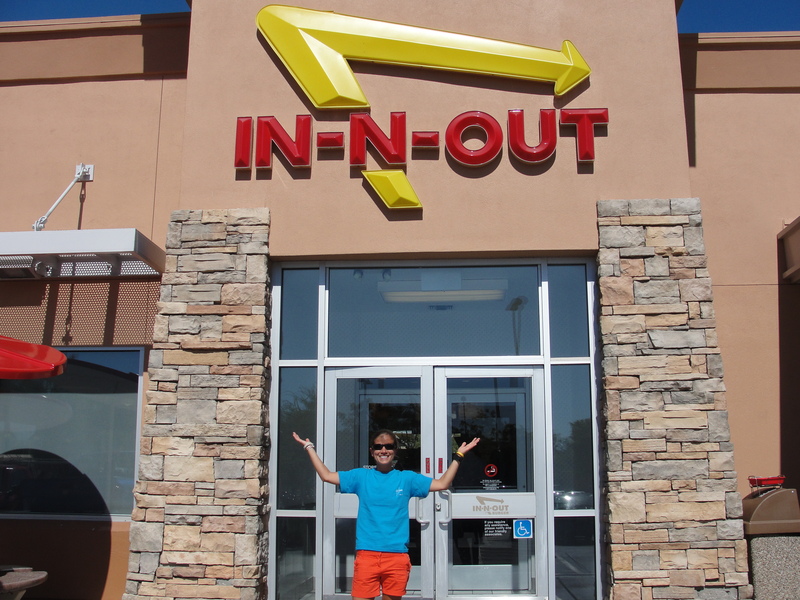 On multiple occasions, I have tried to plan a trip that would include a visit to In-N-Out. Since I live in Florida, the closest location is Texas. We had an entire trip planned to Texas – the Mecca would finally be mine – however, the trip was cancelled last-minute. So, when the opportunity to visit Scottsdale, AZ came to be, I knew what I had to do. While this trip would be for work, I made it loud and clear that I HAD TO GO TO IN-N-OUT. Take me there or else! Before we even arrived, I knew what my order would be – a Double, Double Animal Style and an Order of Fries. Arriving to In-N-Out, my blood was flowing. The adrenaline racing through my body can be compared to the feeling of Opening Day…it was pretty insane. After taking far too many photos, and explaining to the staff that this was my first visit & I was excited, I placed my order. 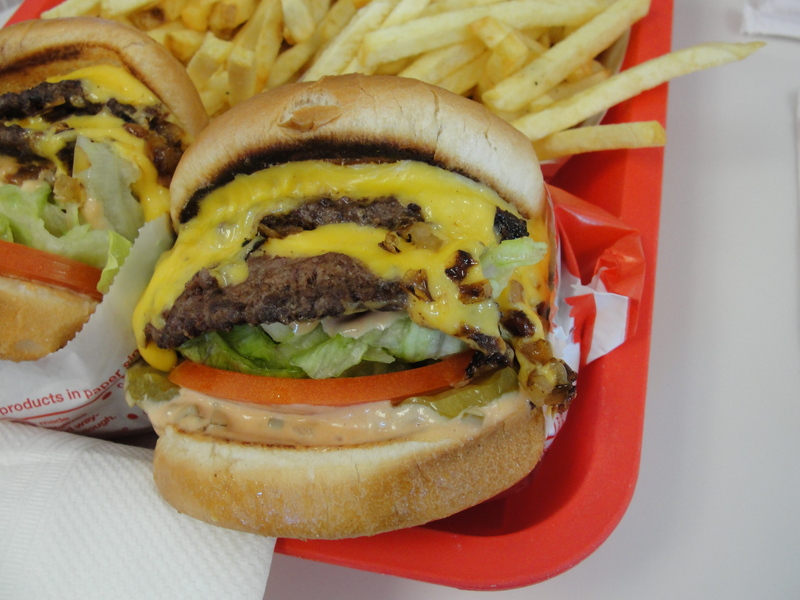 Let me tell you – hearing Double, Double Animal Style…come out of my mouth, is a sound I will never, ever forget. I anxiously awaited for my number to be called. As soon as it was called, I ran to the counter, pumping my arms in excitement. And there it was…sitting right before me. Literally made to order, just for me, this Mecca would finally be completed. I stared at my Double Double for a few moments then dug right in. The first bite was absolutely indescribable. For those of you who have had In-N-Out…you know what I mean. For those of you who have not had it yet, I simply will not do it justice. This was a burger masterpiece. Never before have I had a burger where each and every ingredient played so well together. Every single morsel, of every single bite, left me wanting and wanting for more. Just thinking about my Double, Double, gives me chills. The taste was just perfect. Everything was perfect. 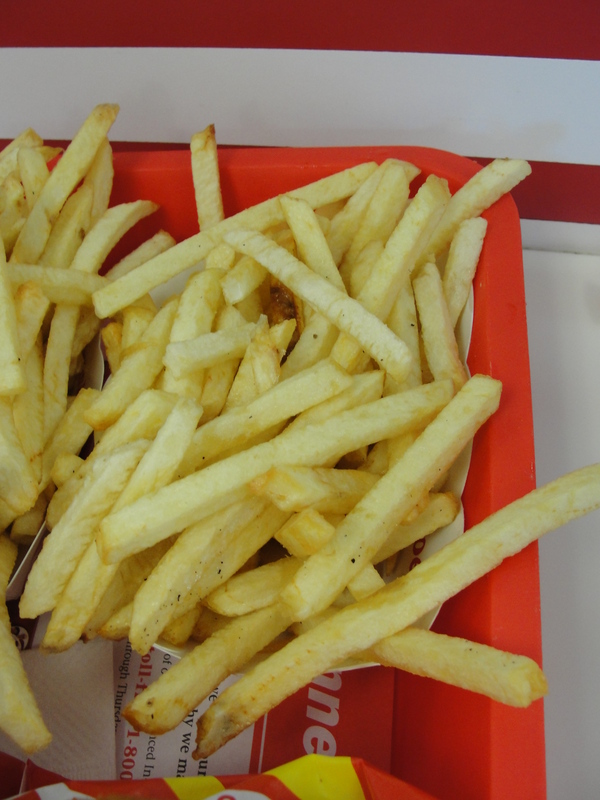 As for the Fries, they were awesome as well. Fresh cut before my eyes, these tasty little spuds were killed. Fried up to the perfect crispness, I downed these fries in no time. I found myself finishing my Double, Double before my fries and so wishing that I had another. I could have eaten one of these for every single meal of my trip. I could eat one of those every single day for the rest of my life, and feel completely content. Visiting In-N-Out Burger was an all around amazing experience. From the over-courteous wait staff, to the amazing meal, I was simply in heaven. I cannot think of another meal that left a smile on my face for hours to come. I simply could not believe it was happening. My Mecca was finally complete. I am now counting down the days, and planning trips, around another In-N-Out. While this Mecca may now be complete, I am now officially hooked. And, once you get hooked, the only thing that helps is another visit to In-N-Out. In-N-Out was everything I imagined it would be and so much more. In-N-Out was simply, The Greatest Mecca.